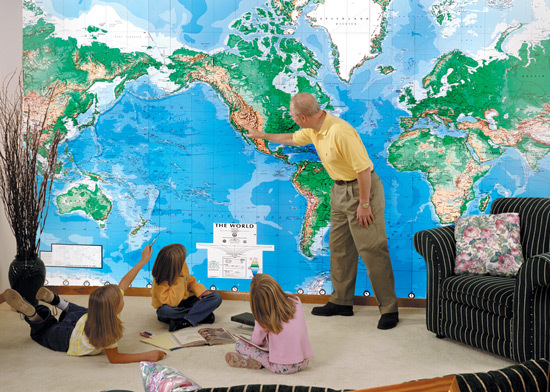 The World Mural Wall Map Wallpaper Physical DMA Edition is available in wallpaper, laminated or peel n’ stick decal in many sizes from 48×70 to 96×144. 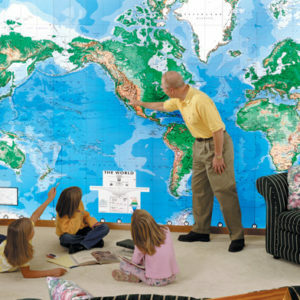 World Mural Wall Map Wallpaper Physical DMA Edition: Enjoy the best with the popular World Physical wall murals offered by Swiftmaps.com! Add a decor matching wood/plastic molding around your mural and have a stunning piece of art that will turn heads! The Physical world murals are perfect for offices, boardrooms, educational facilities and government facilities. 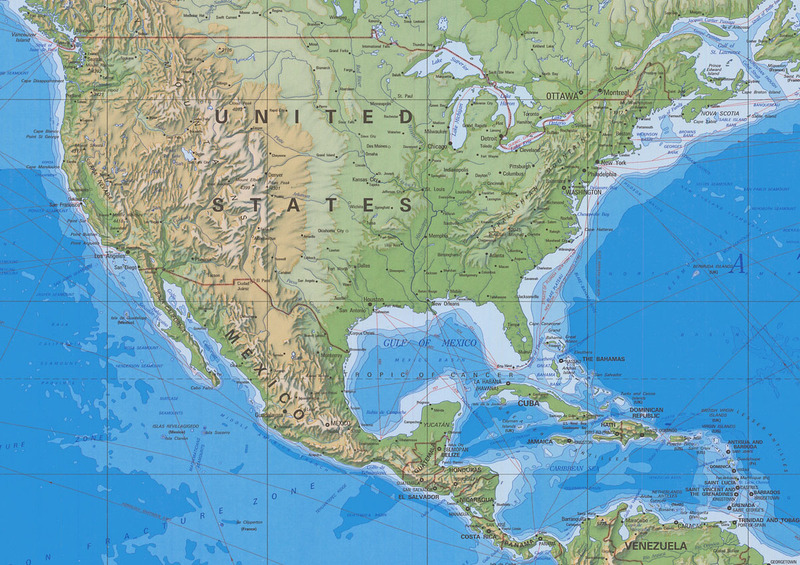 This popular wall mural features data obtained through the USA Dept of Defence Mapping Agency (DMA). Wallpaper murals come with detailed hanging instructions!! 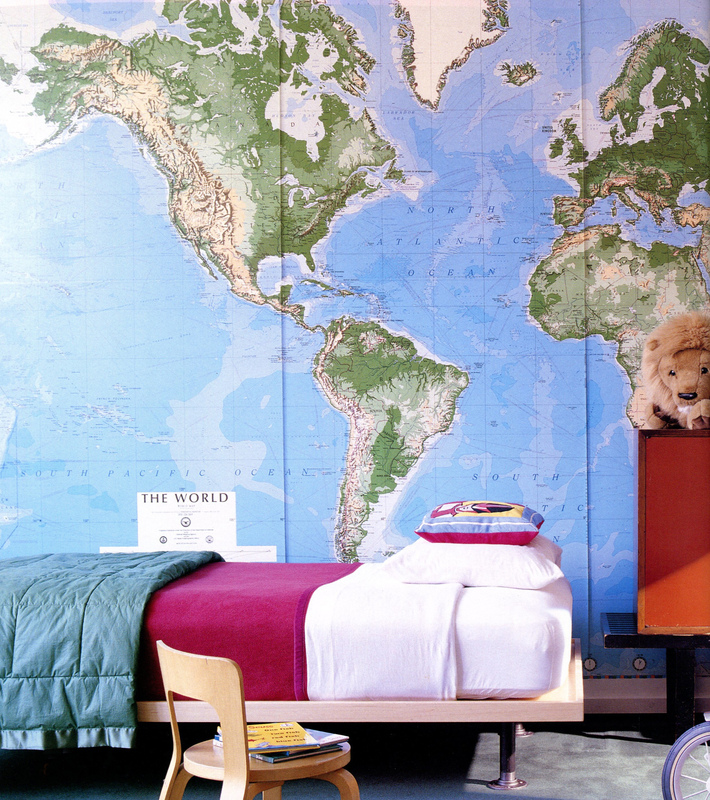 PLEASE NOTE: The vinyl wallpaper murals can also be used as a traditional poster map. You DO NOT have to use wallpaper paste with the murals and adhere to the wall. Our wallpaper murals are made with a special vinyl that allows our murals to be used for whatever application you desire from framing, to foam-core mounting, to just pinning or taping up. The possibilities are endless. Also note that the laminated murals are laminated on both sides for extreme durability, protection and of course, the use with dry-erase markers. We recommend installing the laminated murals with VELCRO. We have found this installation application to be the best for the laminated products. This allows for removal and portability of the mural without damaging the mural and/or the wall. We do not recommend using wallpaper pastes with the laminated murals since some pastes will react to the lamination as well as needing the wall perfectly primed, sealed and sanded by a wall covering professional. We have even found that velcro applications tend to work and install even better that paste installations. Please email with any questions or concerns! Note 1: The 60×96 size mural is a single 1 panel map for the laminated edition but a 2 panel mural for the wallpaper or peel n’ stick editions. Note 2: 60×96 (2 panel), 76×120 (3-panel) and 96×144 (4-panel) editions are multi-panel murals that are spliced together during your installation.